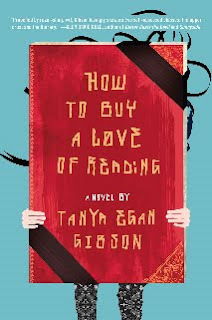 A few years ago, I corresponded with Tanya Egan Gibson online at Absolute Write Water Cooler. Now I get the chance to tell you about the paperback release of How To Buy a Love of Reading and share some writerly tips from Tanya. Joan: I found the book to be much more than a story about the indulgent habits of wealthy parents and kids. There were some very touching universal sentiments, such as, “It’s not about money…It’s about someone’s less being her everything,” and “The worst thing in the world, she’d think later, was having to unlearn the lies you’d believed in.” How did you weave these ideas in so seamlessly, without coming across as melodramatic? For me, big emotional statements like the ones you quote above have to arise naturally from what a character is experiencing, or else they ring false. That is, it wouldn’t work for me to come up with a statement like that because I like the way it sounds or I felt it or whatever and then try to reverse-engineer circumstances, dialogue, or thoughts to make that statement happen. The context of the first of the two quotations above, for instance, is Carley, a teenager, being really pissed off at Justin, an adult, for being insensitive to other people’s emotions—in particular the feelings of Bree, the author who has been commissioned to write a book for Carley. But Carley is not just annoyed at Justin—she’s really annoyed at everybody (including Bree herself and including Hunter, her best friend who she loves as more-than-a-friend) for being insensitive to who she is. She makes this “big” emotional statement because her frustration at people not understanding each other has built up until this point where she can finally express it. When I wrote those words, they felt like Carley’s (I could hear them in her voice), not mine. Joan: Excellent point. And I think I might be guilty of that reverse-engineer thing you mentioned! Now, did you always know you’d work in the Great Gatsby parallels or did that come during revisions? Tanya: I didn’t start doing it consciously, but once I started discovering that they were there, I went with it. I ended up reading a huge amount about Fitzgerald, and Zelda, and their contemporaries while writing this book—much of which was quite heartbreaking—and I reread FSF’s novels as well as much of his shorter work. Joan: As in Gatsby, some of your characters are not very likeable, yet you managed to make them interesting. Did you worry that you had too many unlikable characters? Tanya: You know, you ask really good questions. Just saying. Anyway, yes, I did worry about this a bit, but I hoped (and continue to hope) that readers would appreciate the difference between characters who try to change and characters who don’t. And, of course, at least one character who wants to change but can’t find the courage to do so. Whether change is indeed possible is an important concept in Gatsby. (Is one’s past escapable?) It’s a question I wanted to explore in HTBALOR as well. Joan: Well, they’re all very complicated characters, which makes for lots of conflict! I like the way we learn of Hunter’s backstory—through an attempt at a college essay. As writers, we hear so much about keeping backstory to a minimum—but in HTBALOR, it’s backstory that shapes your characters almost as much as their present behavior. Was that intentional? Tanya: In a word, yes. I was very conscious of all edicts about not letting backstory take over the story, but for me this story was all about backstory. So much of what dictates the characters’ actions—the lies that have been told, the affairs that have been had, the things that should have been said (but weren’t), Hunter’s descent into addiction, Carley’s loss of faith in her parents—actually happens before the story opens. The challenge for these characters is getting past their backstories and making new things happen in their presents. I think that in the real world, too, the past exerts a pull on us that can make moving forward a very difficult thing. Joan: Very true. As writers, we struggle with how to write believable, yet unpredictable, endings. In my opinion, the ending to HTBALOR was perfect. Unexpected yet really the only logical ending. Did you always know how the story would end? Tanya: I actually changed the ending of HTBALOR several times, though I always knew what the settings of the climactic scene and the epilogue would be. Since I don’t want to end up “spoiling” the ending, I won’t go into great detail about those plot points, but here’s how/why I ended up with the climactic event that I agree is probably the only organic ending: my agent suggested I get rid of a secondary character that she didn’t think added to the story. (In that draft of the novel, Justin had a beautiful, popular, and not-quite-sane teenage sister who Hunter was dating.) That character was integral to the original climax of the book, so when I agreed to remove the character altogether, I knew I’d have to brainstorm a new climax. While going through a mental list of “what if’s” I landed on an option I had never seriously considered—one I guess I hadn’t wanted to consider. I remember crying when I wrote the new scene—in part because it was a highly emotional scene, but also in part because it felt so right to write it. Joan: Many writers, myself included, are relieved (and scared!) to know how much rewriting goes into a manuscript after we think we’re done. Your story is told in multiple POVs. Did you receive any resistance from your agent or editor on this? 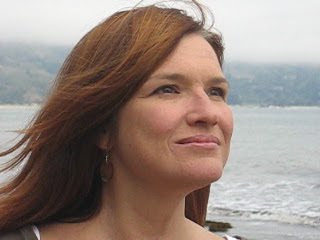 Tanya: The draft I first brought to Susan Golomb (my agent for HTBALOR) was even more complicated in terms of POV: in addition to the third person multiple POVs, Carley’s sections were consistently told in first person, present tense—the viewpoint that Carley tells Bree, in a letter near the end, is the only way she can write because it feels most real, immediate, and honest to her. Because there was already so much going on in terms of structure, devices etc., I understood why Susan wanted me to normalize Carley’s POV (which ended up helping me smooth out some sections, too, since it felt too jumpy to move from the third to first person—plus switch tense within the same scene). However, I did stay with the tense switch in the Aftermemory scenes (which you mention below), where Carley imagines her alternative universe in the present tense. Joan: I’m intrigued by the question Carley asks Justin: If you could go back and change something you said—something that would make everything different afterward—what would it be? Is there something you did or didn’t do, pre-published, that you wish you could change? Tanya: Not really. Writing and publishing and all—it’s a process. I’ll be a stronger writer with my next book, and I’ll have more experience with the whole publishing thing. But you only get better, in my own experience, by muddling through and pushing forward. Are there things I could have/should have done differently or better? Sure. But I did the best I knew how to do. Joan: I love the concept of Aftermemory and how the theme comes into play a lot, and especially makes the ending bearable for Carley. In another interview you mention how you came up with this concept. Can you tell us a little about it here? Years later, when I started writing the book, I knew Carley would do this, replay scenes in her head, but I didn’t give her private universe a name until Glen David Gold, an author I greatly admire, read a section at Squaw Valley Community of Writers and cautioned me that a character who seems unlikeable at the beginning of the novel needed to have some special quality or skill that would make readers empathize with her or want to like her. When I pointed out that her revisiting-the-past as a special skill, he said I hadn’t emphasized it enough. He suggested playing it up and giving it a name. And so I did: Aftermemory. Joan: I think it’s Justin who says, “Turns out all you need to become a famous writer is to want it enough.” Oh, if that were only true! Was your decision to write this as meta-fiction influenced by a desire to target writers as readers? I wrote HTBALOR as meta-fiction because I have had a love/hate relationship for a really long time—all the way back to high school, when I read Stoppard’s Rosencrantz and Guildenstern Are Dead and was fascinated by the idea that the characters realized, on some level, that they were in fact in a play and were doomed to repeat their roles over and over. Around the same time, I read Vonnegut’s Slaughterhouse-Five and loved the idea that telling the reader at the end of the first chapter how the whole book would end (Poo-tee-weet?) added to the emotional punch of the ending rather than detracting from it. I was very lucky to have encountered these particular pieces—both of which are very emotionally resonant at that age. Later, in graduate school, I felt like a lot of meta-fiction I met was emotionally bereft—way too cerebral—but still I was fascinated by it. Thus, the conflicting feelings about meta- that, in part, HTBALOR explores. Joan: Interesting. I noticed that you speak about Revision in workshops. I’m curious about the idea of “deepening” rather than just “changing” your writing. Can you give us a few tips! Joan: I love that advice, especially using the license to be brave! And I’ll think of Aftermemory every time I’m revising now! Your website shows a section where people can submit stories about how reading changed their lives. How did reading change your life? Was there one particular book that pushed you over the edge toward wanting to be a writer? Tanya: I don’t know that there was one particular book, though I’ve mentioned a couple in an earlier question that were very important to me. As for how reading changed my life, it made me believe that anything was possible, and it has made me feel connected to strangers—connected to other people in general. I’m shy by nature (though I’m one of those introverts who pretends to be an extrovert, like Hunter in HTBALOR, and which probably makes me end up harder-to-read than just being regular-shy might make me), and I’m not always good at connecting with people. (They kinda scare me.) But reading reminds me that other people are just people, like me. Joan: I can relate to that! HTBALOR just came out in paperback. When can we expect your next book and can you tell us a little about it? Tanya: I’m writing a novel that (for now) I call Lands. (It’s probably a good idea not to get too attached to a title, as the author doesn’t necessarily get to choose it. The original title for HTBALOR was A Book For Carley.) It’s about an eighteen-year-old former competitive figure skater who ends up skating in the ice show in a underwater-themed amusement park—wearing a full-body jellyfish costume. The longer she is in the park, the more she starts to suspect that there is something “enchanting” about the park that goes beyond mere illusion. Joan: Now that’s outrageous! And Lands sounds like it will be a great read! Thank you for taking the time to stop by What Women Write. Readers, head off to the bookstore (virtual or real!) to pick up HTBALOR! And make sure you stop by Tanya’s website—it’s very cool! This sounds like a great book. Can't wait to read it. Excellent interview, Joan and Tanya. Thanks, Pamela! Joan asks really great questions. They were fun to answer!